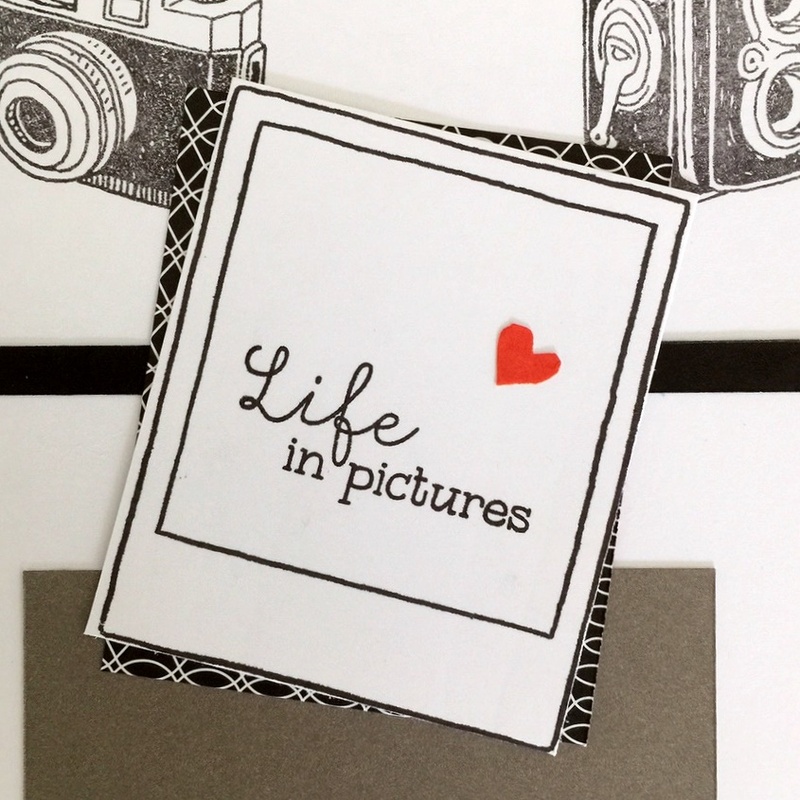 If you’re a fellow photo addict, you’ll see that this months’ Stamp of the Month has been created with you and I in mind. It should be in every scrapbookers collection. I think I own every one of these cameras (and perhaps even a few others – eek!). Not to mention of course, now my trusty i-phone camera. There is a magic in being able to captures life like this – and it is my absolute passion to preserve all of those special moments in our albums. 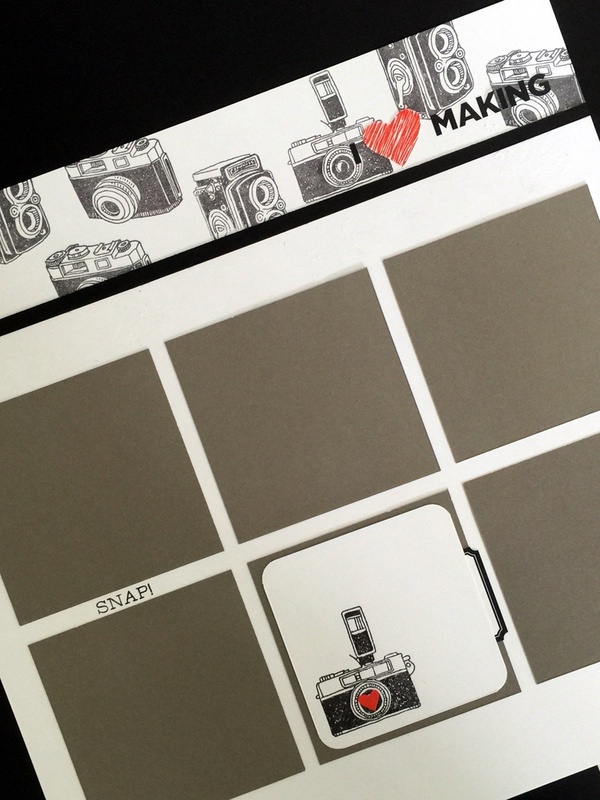 So, to celebrate this stamp set, I’ve created a fabulous double page spread, that is completely generic, so you can use it for anything you’ve taken photos of. I’ve combined the stamp set with the Basics Fundamental sticker pack for my title, and for all the little tabs – these small things make a big difference. Come and create this with me on Sunday, at our Crop, Craft ‘n Create workshop. this looks great Megan! Thank you!